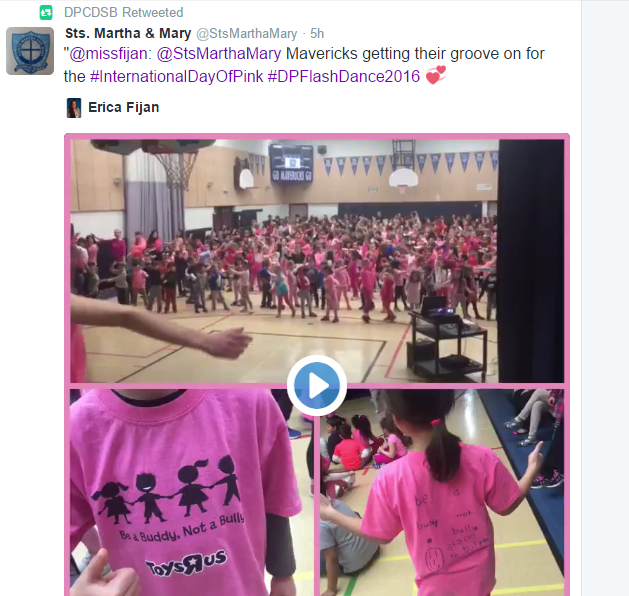 TORONTO CATHOLIC WITNESS: Dufferin-Peel Catholic District School Board poisons children with a "Day of Pink" homosexualist and gender propaganda! The "Day of Pink" is a sinister pretext for promoting the evilness of homosexuality and pan-sexualism under the guise of opposing bullying. The Catholic school system in Ontario has long been indulging in open heresy and the promotion of sexual license and deviancy. Now we get this latest evil. 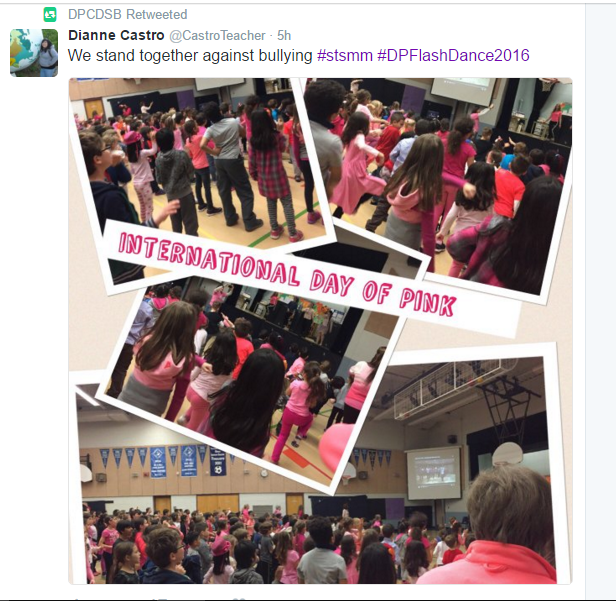 OECTA - the noisy strident dissident and heretical teachers union - the ringleader in all this, is busily promoting the Day of Pink. 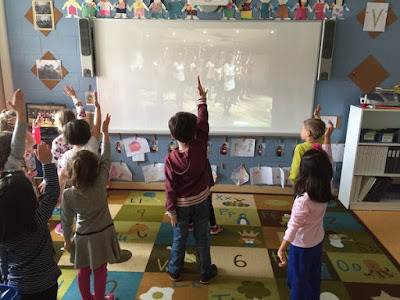 If this was not enough, the Dufferin Peel CATHOLIC School Board planned and executed a board-wide "flash mob" to a primitive noise masquerading as music, to celebrate indoctrination of children into gender ideology. The moral depravity of a "CATHOLIC" school system that pours spiritual poison into the souls of innocent young children must be denounced and condemned. Parents where are you> Do you approve of this? Catholic teachers - if there any of you left - will you stand up for the Truth? Priests, nuns.... bishops? Where are you??? Some of the words of the evil song: "... we make our own rules..."
"...we don't care what they say...leave us alone... we have no apologies..."
What filth, what evil! What vile teachers... murderers of children's souls! Having taught in the Catholic school system from many years, this comes as no surprise. Catholic education has, for quite some time, taken its marching orders, from the surrounding secular culture, NOT the deposit faith and morals. It is lip service Catholicism at best. As our Church abandoned, or at least shelved, its supreme law, being the salvation of souls, Catholic education simply followed suit and replaced its first priority, being care for souls, with care for mind and body. Even our funerals are, by and large, opportunities to lionize the life of the decedent rather that beg God's mercy on the soul of the decedent. I know many good teachers who know nothing else but a Catholic school system that has prostituted itself. For them, this is the only Catholicism they have ever known. Sadly, the bishops will continue to do nothing. How long will it be before the provincial government approaches the Catholic trustees of Ontario and says: "C'mon, stop the pretense, you are not Catholic anymore. Time for one publicly funded system." Barona, we already have a public funded public system: one is called Catholic and the other public. And there's no real difference except some schools have kept the names of saints that students and teachers know little or nothing about.